It was a work of art, literally, in the basement of the Connor family’s Michigan home. The rink, created by Joe Connor, featured painted ice, a mural of boards and images of fans. For a young kid who had already fallen in love with hockey, strapping on rollerblades and spending hours on the indoor rink was about it as good as it gets. 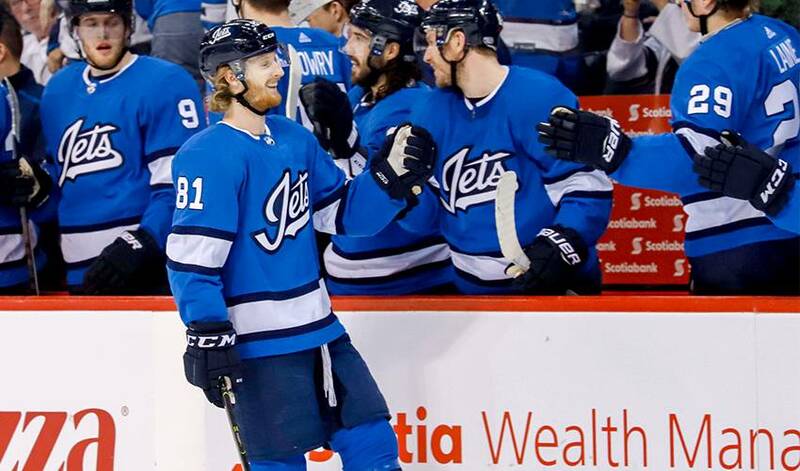 Connor, now in his second NHL season with the Winnipeg Jets, doesn’t remember all those times, but through pictures and his parents’ recollections, he’s well aware that he enjoyed every minute of it. His father didn’t limit his rink designing talents solely to indoors. He also built two outdoor rinks, each of them equally impressive. That addition made for long hours spent outside, with hockey games sometimes stretching until well after midnight. It was also a time for the aspiring NHLer to mimic the moves of his favourite player, one of the best two-way stars in the history of the game. The two would cross paths, albeit on the ice, at the 2016 World Championships, with Datsyuk representing Team Russia and Connor in Team USA colours. Russia defeated the U.S. 7-2 in the bronze medal game. Connor, a finalist for the 2016 Hobey Baker Award as the top U.S collegiate hockey player, has been impressive in his own right since joining the NHL ranks as a regular in 2017-18. After 31 goals and 57 in 76 regular season games in his first full campaign, the 17th overall pick in 2015 recorded three tallies and 10 points in 17 Stanley Cup playoff contests. He’s been hot of late, putting up six points in his last five games, including a three-point night against Detroit on January 11. Perhaps his comfort level playing on hockey’s biggest stage can be traced to his days wheeling around in front of “fans” on an indoor rink in the Wolverine State.